It should be the rainy season. 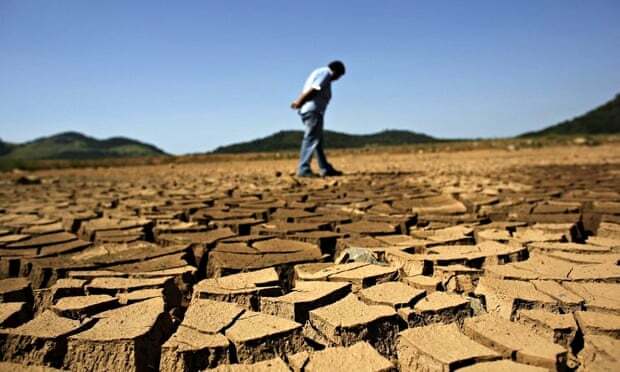 Instead Sao Paulo state is experiencing a third consecutive year with soaring temperatures and rainfall patterns well below historic records. The main water reservoirs are operating at their lowest capacity. The Cantareira reservoir system, which serves more than nine million people in the state, is only 5% full. At the Alto Tietê reservoir network, which supplies three million people in greater Sao Paulo, water levels are below 15%. Simple calculations indicate that given the current level of consumption versus the predicted raining patterns there is only enough water on the system to last four to six months. That means the water could run out before the next rainy season starts in November. State officials recently announced a potential rationing program of five days without water and two days with, in case the February and March rains do not refill the reservoirs. This extreme climate scenario, combined with a series of management flaws, political negligence and a culture of waste and pollution, is bringing the largest metropolitan region of Brazil to the brink of collapse. 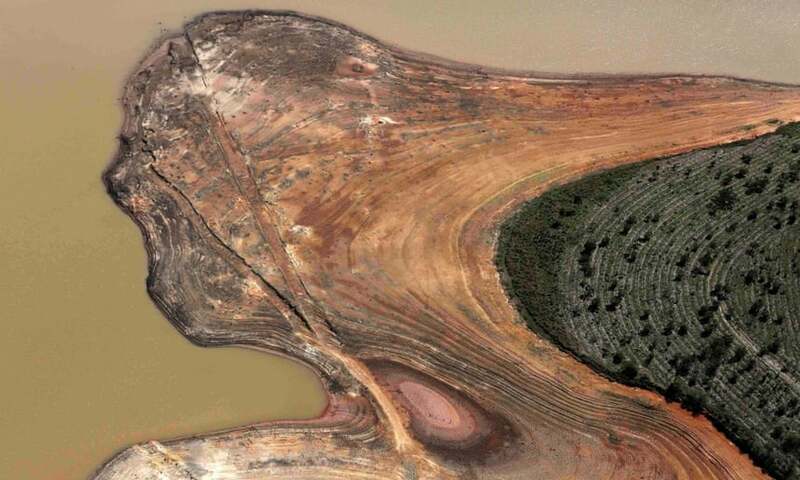 Since 2013, after decades of warnings about misguided development policies and destructive land use practices, experts and civil society organisations have been calling for increasingly strong measures to reduce water consumption to keep the minimum secure levels for supply reservoirs. The calls have been ignored by the state government – the system’s main operator – and federal and municipal authorities turned a blind eye to the severity of the situation. The government took a few small steps in early 2014, such as offering a discount on water bills for people who voluntarily reduced their consumption. It also increased supply from the Billings and Guarapiranga reservoirs, but as these sources receive most of the urban waste from Sao Paulo, the water needs to be carefully tested and treated to be adequate for human consumption, adding to the complexity of securing safe water supply during the drought. The government’s main initiative has been to reduce pressure on the distribution network, so that it pumps less water through the system. As the measure was not officially recognised by leaders or the media, people were unprepared to live without drinkable water for a couple of days when the supply glitches started to happen. Taken by the population as a de facto rationing, the lack of transparency about the times and places affected by pressure reduction caused more problems and increased distrust among Sao Paulo’s citizens. The recovery measures adopted so far account for a 22% reduction on the water volume extracted from reservoirs. Experts, however, advise that the reduction should be around 50% to sustain the minimal conditions needed for the system. Many might be surprised that such a scenario is happening in a tropical country famous for its abundance of natural resources, crossed by hundreds of rivers and with plenty of underground water. But for regional environmentalists and experts it comes as no surprise. They have been raising the alarm on water pollution and campaigning for watershed protection and safety standards since the 1980s. But scientific and technical reports, advocacy measures and pressures on companies were lost among the apparently unstoppable powers of real estate, agriculture and industry development. Urban land use, extensive monocultures and illegal occupation of watersheds have damaged and polluted the water production areas, jeopardising their capacity to survive and recover from extended dry seasons. National development policies strongly focus on macro-infrastructure plans such as large hydrodams, ports and roads, the expansion of agribusiness into the Amazon, and the predatory mining industry. These sustain the exports of soya, beef and pig iron while being responsible for the majority of Brazilian greenhouse gas emissions. More and more scientific studies show the link between deforestation in the north and the reduction of rainfall in the southeast, presenting further evidence of how the effects of climate change are already upon us. Despite the relative gains in poverty reduction over the last decade, the imminent collapse of the water supply system of the richest region in Brazil shows that basic development structures have yet to be addressed and fundamental human rights have yet to be secured in this country. Millions of people from the poorest communities have entered the consumer market, but their access to housing, sanitation, clean water, citizen security and transport remain unguarded. This is where an old cliché becomes real: major opportunities lie within this crisis. The transcending effect of the water shortage creates a space for unity and coordination among Brazilian social movements. It offers the chance for environmental organisations to link deforestation with urban issues, to communicate that social justice will not be achieved as long as the priority is given to an unequal and unsustainable development model. Moreover, the urgency and scale of the water crisis is likely to bring NGOs and labour unions closer to the organic and youth protests that drew hundreds of thousands of people to the streets in 2013. The time and place for a solid narrative that links poverty reduction to ecological protection seems finally to have arrived. In October 2014, more than 40 NGOs, experts, independent collectives and social movements joined forces to launch the Alliance for Water, a network that is monitoring the government’s response to the crisis and presenting positive solutions for surviving the probable collapse. 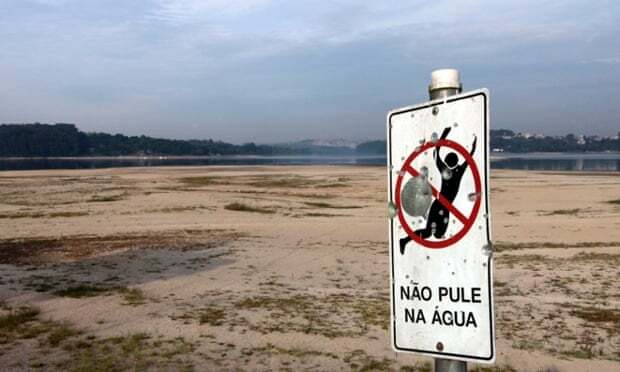 The alliance aims to collaborate to build a new culture of water use and conservation in Sao Paulo and is producing a series of technical reports and events to qualify the debate among a wide range stakeholders, from specialists to politicians to social movements and grassroots groups. Today more than 13 million inhabitants of Sao Paulo state find themselves on the edge of an unprecedented public calamity. The absence of political leadership and government transparency fuels panic and fear. Until now, the government has not outlined a clear emergency plan to guarantee minimum water supplies for essential services such as hospitals, police stations and prisons, and for the poorest people who have no structure to store or buy mineral water. A chaotic scenario might take place where, faced with a severe and sustained lack of water, many communities will resort to polluted sources or even violence, raising significant concerns over safety and health. Civil society has a pivotal role to play by challenging development models, establishing social control over emergency plans, securing human rights and promoting the values of ethics and solidarity. As is usual in calamity situations, the most vulnerable, poorest communities are likely to pay the highest price with their health and their dignity. These people need to know they can count on organised civil society to support them across the turbulent times that lie ahead. Marussia Whately is the programme director and Rebeca Lerer is the communications coordinator for the Alliance for Water network.